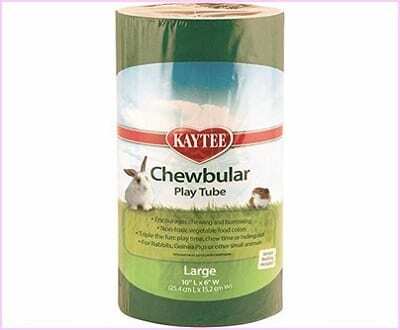 When shopping for the best tunnel tube toys for rabbits, it is good to consider something that will not only bring delight to your bunny, but something that works with your wallet, décor, and tolerance for maintenance. 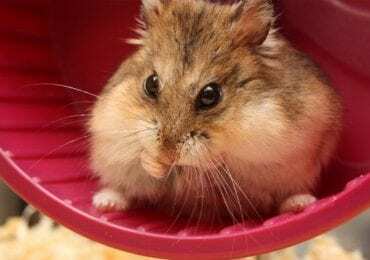 This article reviews ten of the best tunnel tube toys on amazon.com, and considers price, materials, construction and small pet preferences. 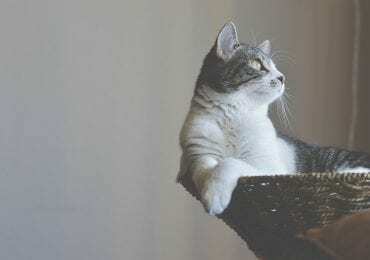 Links are provided to give you quick access to more details and reviews, so that to help you consider what will be the best fit for you and your furry family. This cozy T-shaped tunnel is too adorable to pass by with its lamb down and plush cotton fabric reminiscent of a sleeping bag. 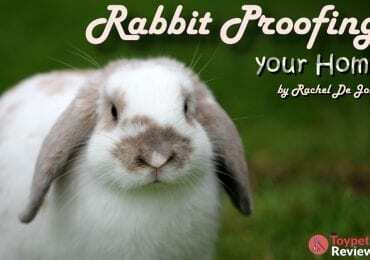 Although your baby rabbit may soon outgrow it, it would be a good starter tunnel due to its snugly and protective structure. This sturdy cardboard tunnel is 10” long and 6” in diameter—once you figure for the fuzzy grass-like lining, that leaves a cozy and snug interior fit. 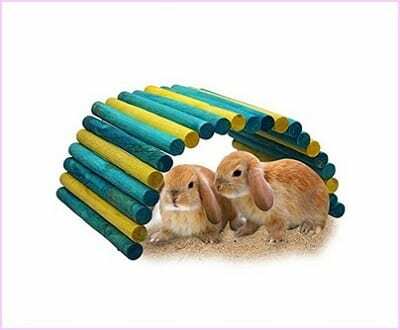 Many customer reviews mention how much their small pets enjoy sleeping inside, an important factor when considering the best tunnel tube toys for rabbits. This 10” long by 6” diameter sturdy cardboard tube is comparable in all ways to #9, but instead of a grassy interior, features cottony bedding. The exterior has purple and green stripes instead of a solid color, something to be considered if you want a joyful bunny decor. This three-prong tunnel system is primarily designed for cats, but welcomes bunnies as well! 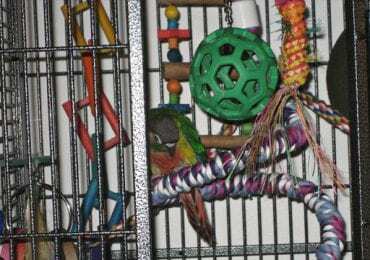 It is made of polyester with a collapsible steel structure, and features a peep hole, crinkle lining in one tube, and a hanging bell in another. 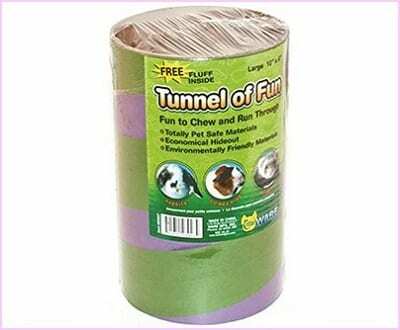 This three-way tunnel is similar to the Prosper Pet version in #2, but is made out of nylon instead of polyester and lacks the crinkles and bells (which are designed more for feline friends, anyway!). The tunnels are smaller in diameter, which makes it better for contemplative burrowing instead of raucous romping. Technically an extension section, this 36” tube works well by itself while intended to hook into a maze-worthy system of tents and the best tunnel tube toys for rabbits. The polyester fabric and metal frame collapses and can be used indoors or outdoors. 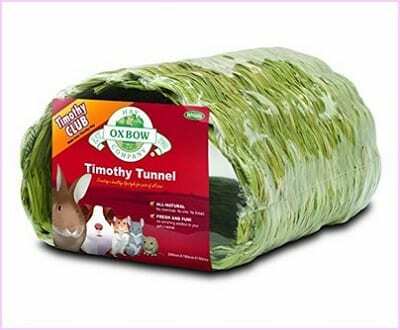 This 10” long tunnel is woven out of 100% timothy hay that is preservative and additive free. There is no wire or thread holding it together—truly edible! The 7” diameter fits rabbits 5 pounds and under. 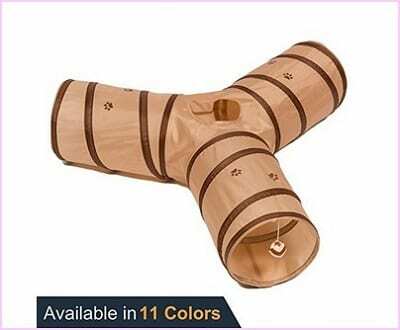 This tunnel is highly rated by other customers, who feel that investing in a toy that gets destroyed every week is a worthwhile expense for a special pet. This 13-1/2” long tube with peek holes is handwoven with natural couch grass and has fuzzy burlap fringe at the openings. It has an asymmetrical design that appeals to the less structured design-minded pet. This tunnel toy is actually a flexible mat made of colored wooden sticks. 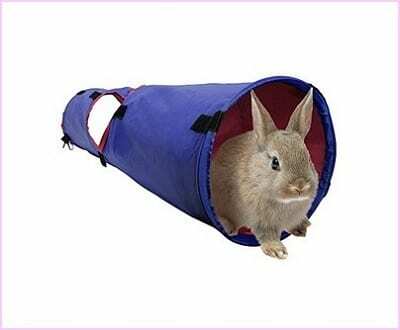 It is one of the best tunnel tube toys for rabbits due to its versatility: it can be curved to create a half tube, ramp, wall, or whatever your adventurous pet requires that day. Even though it is bendable, it is structurally sound enough to support the weight of an adult rabbit. 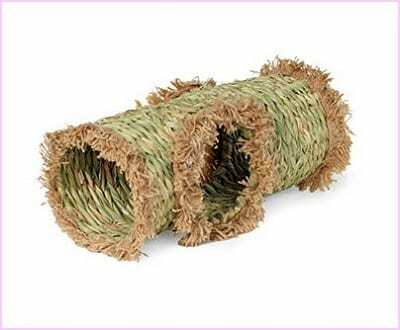 Number #1 on our list of best tunnel tube toys for rabbits, this 10” long half-tunnel is made of hand-woven willow, which safely supports natural needs to nibble. 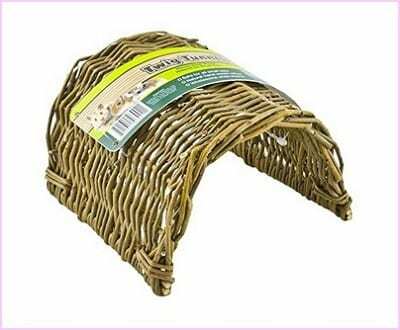 If your pet has a hankering for willow twigs, this is one of the best tunnel tube toys for rabbits to buy in bulk. 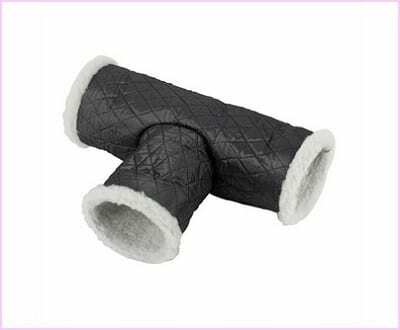 The half-pipe shape can even be used to carry your bunny, if they like that sort of royal attention. 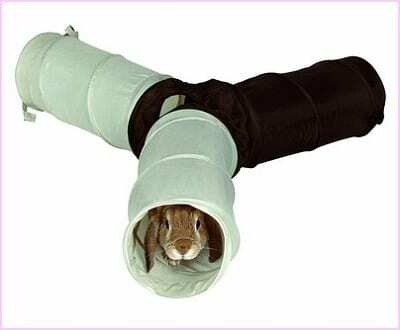 Now that you are familiar with the best tunnel tube toys for rabbits and have options in each category, I hope you are as excited as your bunny to try some out! 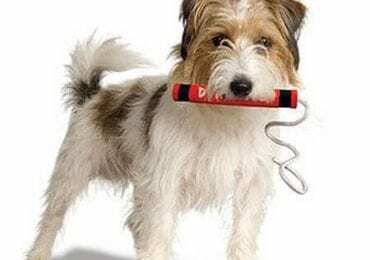 If you do end up bringing a tube toy to your home, I encourage you to leave a review, so that other pet owners can benefit from your experience. Adorable pet photos are always a bonus!